As a young boy, I soon had to get used to fleeing from the violence of civil war. For two years, we roomed the jungles. During the day, bombs rained on us, and at nights we were constantly on the move. I made it to Kaya, a small border-town with Uganda, leaving my siblings and some family members behind. Evenings and mornings were filled with burial activities. Children, men, women and the elderly all died in numbers. At this stage, I accepted that one day it would be me. However, somehow I made it across the border into Uganda. Having reached relative safety from immediate threats, a main challenge now was being to afford an annual fee of $2 for primary education. I then was accepted at a secondary school in the largest town in northern Uganda. My school fees were covered by UNCHER, but I had to overcome the transporting to and from school myself. I was so happy with two meals of beans, lunch and dinner for the four straight years. Doing well in the class, I was notified by the UNHCR education program to keep working hard. Two years later I was accepted at UWC Red Cross Nordic. The first person to welcome me at Oslo airport was an alumna, who requested me to pick up my baggage at the conveyer belt. She was puzzled by my reply that all I had was this small hand bag. Arriving in Flekke, students and teachers were welcoming and full of life. Social life was so exciting that it almost made me forget where I came from. Studies were challenging, but manageable. During my second year, some of the questions I had about politics made it harder to focus on academics. My knowledge about the world grew so much, but my understanding of reality was still insufficient. My house mentor was helpful in walking me through life, encouraging me to let go of my past. I was silently praying to get my feet into any college and finally, I received an offer to College of the Atlantic in Maine. My College dreams were short-lived by the events surrounding the 9/11. Getting to the USA was near impossible for a refugee student with Geneva Convention Travel Document as passport. But I did not give up and after 111 days received my entry visa to the US. Although interesting, life there was not all milk and honey. In 2009 I graduated with a master degree in urban and regional planning, then moving from California to Maryland and Boston, before moving back to South Sudan. 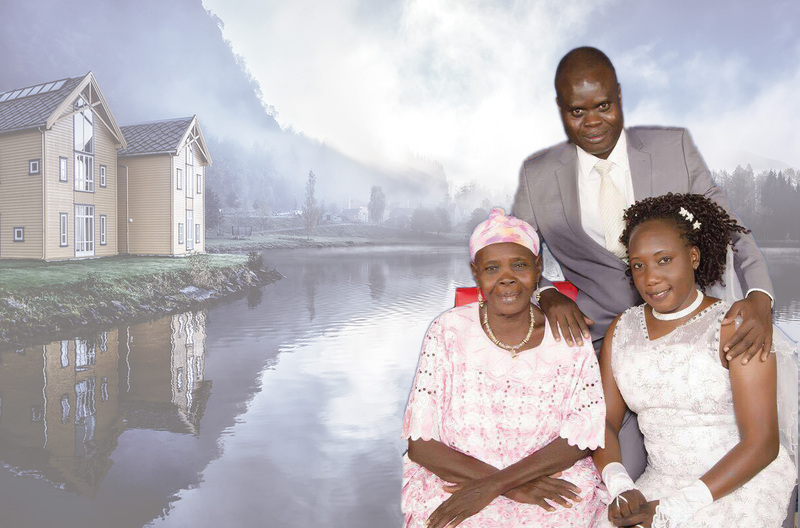 My return to home in South Sudan, was the best choice for me, but at a high cost too. I got to experience first-hand independence of the world’s youngest nation and took part in the forefront of nation building. Due to tribal discrimination, I failed to get a job with UN-Habitat. But I continued to search and after seven months got a lower level job, where I was equally paid with certificate holders. It was still in one of my areas of expertise, land reform programs. It was for the South Sudan Land Commission, sponsored by the Canadian Government, implemented by UN-Habitat. After nine months without receiving any payment I left the job and started my own practice for architectural and urban planning – where my services were taken for free by respectful government officials. In order to survive, I shut down the practice and joined Tetra Tech ARD to implement a USAID land reform program. I became responsible for this in my home state of Western Equatoria and delivered the first successful land reform of its kind in the nation. The US ambassador, Susan D. Peige, and the USAID Country Director, for the first time travelled outside the capital Juba to attend the inauguration of my land reform project. A well-established country land authority; I personally designed and built the simple structure and trained the staff. On December 15 2013, we were back into another civil war. I returned to Juba, working for the City Council for 6 months, without receiving payment. But I liked my work, leading the team on installation of the first solar powered traffic signal/lights in the country. I dedicated much time with work on awareness campaigns with the City Mayor on national TV and radio, educating the nation on the use of traffic signals. Something so little could have much impact, not only on saving lives and protecting property, but also putting smiles on faces. Given a level of illiteracy at 87%, the army used to think that the red traffic lights were meant for them since their vehicle plate numbers are coloured red. The yellow lights were also misinterpreted to be meant for government officials since their vehicles have yellow plates. Green were for the commercial vehicles, leaving no rights for private cars on the road. Those misinterpretations soon died after our campaign, even though I was often challenged by officials who did not like the effects of it. My second project was installation of street signs to help emergency response operations. I continued to support the Ministry of Roads and Bridges in collaboration with NTU/AS from Denmark, who were developing a nationwide human resource development program for the transport sector. This again was interrupted by the July 2016 outbreak of war in Juba, when I lost my house in a bomb shell. At this stage I had also began to lecture for the University of Juba on architecture and urban planning. I was made Head of the Department and later Acting Director to upscale the Department of Architecture to a new School of Architecture and Urban Planning. The new school hosts three departments: Architecture, Urban Planning and Land Administration. My university joined Eastern Africa Land Administration Network (EALAN), a consortium of 12 universities in eight East and Central African countries, where I was later elected Executive Secretary for the regional network. We are supported financially by the NUFFIC Funded program of the Dutch embassy in Kegali, Rwanda. Despite all the blessings and the progress I have made, there is no shortage of difficulties. Inflation has hit us hard. In just 3 months, the value of a civil servant’s salary dropped from $5,000 to $60 a month. Despite these hardships I continue to embrace the little gifts life bestows on me and truly value living and working in my country – making my contributions to building it up. For me, nation building has many fronts, from providing equitable land access to influencing curricula and education programs. My work in land reforms is now extended to include the East and Central African region. And I do serve as chair of UWC Sudan, with the aim that this will also be a contribution to build my country. 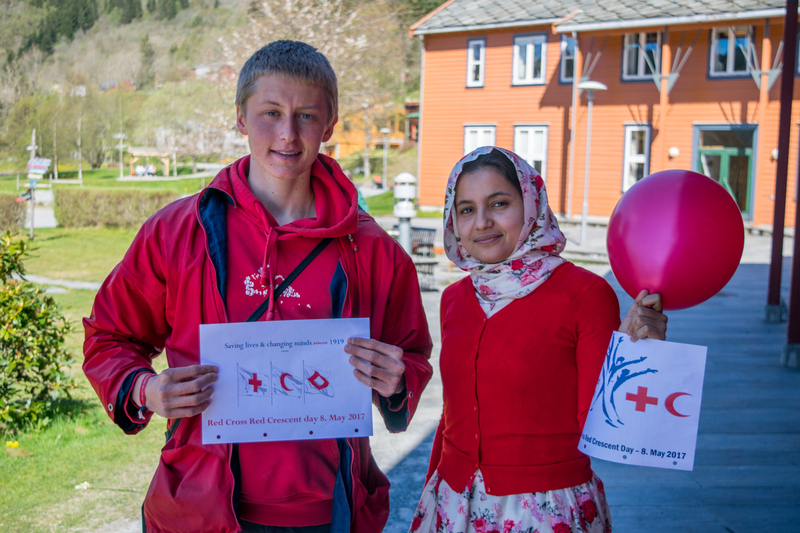 Graduation took place on Saturday 20th May at UWC Red Cross Nordic. It was a pleasure to welcome so many families, host families from our local community and other guests on Friday evening for dinner in the Høegh and then a cultural show – all coordinated by the first year students. 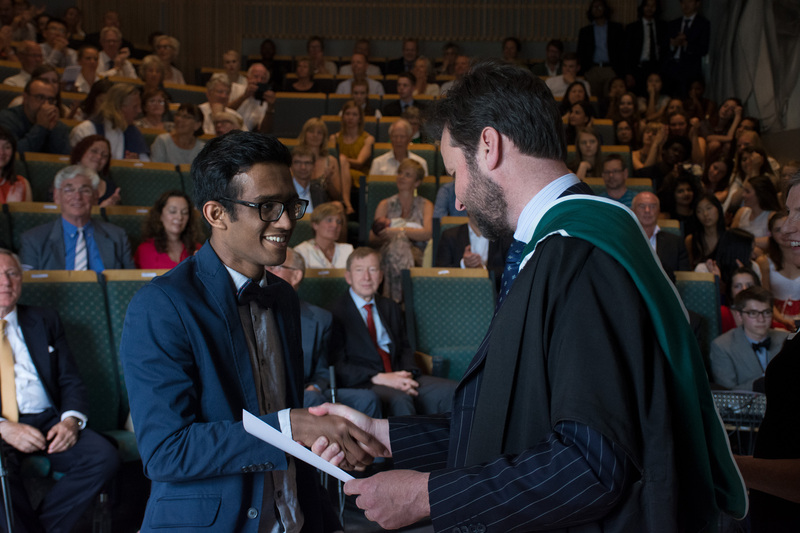 The ceremony took place in a beautifully decorated auditorium at 14:00 on Saturday and consisted of speeches, a slideshow, a special video for the occasion (see here and below), musical performances and the formal graduation procession. The Rektor, Richard Lamont, opened the ceremony with a welcome address and introduced our Guest of Honour, Hans Von Sponeck. Hans has served as a UN Assistant Secretary-General and UN Humanitarian Coordinator for Iraq and has won several international prizes for his work towards peace. He is a staunch supporter of UWC and has worked tirelessly over the years to enable students from Iraq to attend our schools and colleges. Liv Ronglan, the RCN Board Rep for the Norwegian Red Cross, gave a powerful address about the College’s partnership with the Red Cross and the role our students can play in the future. 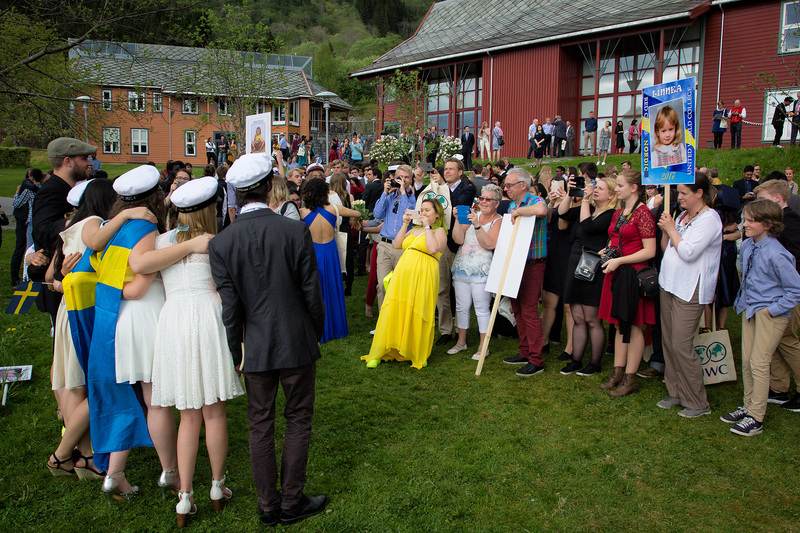 Her address was followed by speeches from Gunhild Berge Stang (Mayor of Fjaler), from second year students (Tess Luttikhus from the Netherlands and Adrian Sidhu from the UK) and the farewell message was given by Tove Veierød (our outgoing Chair of the RCN Board). 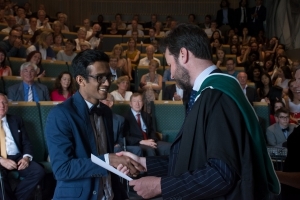 Many of the parents of our second year students were unable to attend the ceremony – and therefore we have posted lots of images, recordings of speeches and musical performances on faceboook and a copy of the graduation ceremony programme so that our whole community can connect with the occasion. For a copy of Larry’s welcome address, please click here; for a copy of Hans’ speech please click here; and for a copy of Liv’s speech, click here. Graduation 2017.What a day. This is the video the students made for showing during the Graduation Ceremony. Thank you to Nik and Maja. Video of the ceremony, and photographs of the day to follow …. For a playlist of videos, click here. May 8th marked the International Red Cross and Red Crescent Day, celebrating the Red Cross Principles in action all over the world. At RCN students and staff could take pictures with statements expressing solidarity, calculate their personal slavery footprint, indicating the number of slaves that work for each and everyone of us, win a cupcake if they knew all the seven principles of the Red Cross, and take part in several other activities. The newly-founded Red Cross Youth Group at the College organized all events, trying to emphasize the connection between the school and the Red Cross. We were very happy with the turn out of the day, as many people had conversations about the Red Cross Principles and their meaning both for us here and in other places in the world. See an album of photographs here. Water pollution caused by humans threatens marine life and ultimately humans. One of the most harmful pollutants is plastic waste that will travel with currents for thousands of miles and for hundreds of years. Sometimes it finally reaches the coast. Every May thousands of Norwegians gather along the coast to help with the cleaning of waste washed up on the shore. 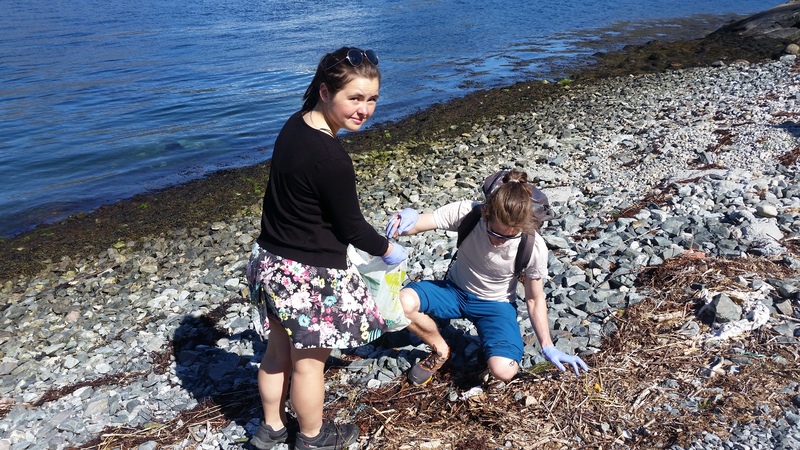 This year, for the first time, RCN students joined forces with people from Dale to clean the fjord’s coastline. On Saturday, 6th May a group of students and staff members went to Dale armed with gloves and trash bags and cleaned about a kilometer long stretch of coastline. We found and bagged old fishing lanes, shreds of plastic bags, long pieces of ropes and other plastic rubbish. We also realised that people are recklessly dumping hazardous waste in the fjord as well: we found half-burnt building insulation materials. 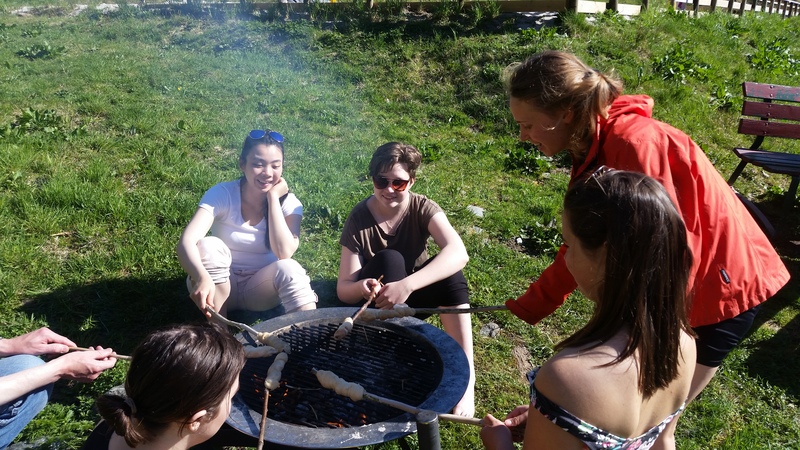 The weather was really kind with glorious sunshine and we were able to spend not just a useful but a very joyful day in Dale that ended on the beach with bathing, cooking over a barbeque and playing volleyball.